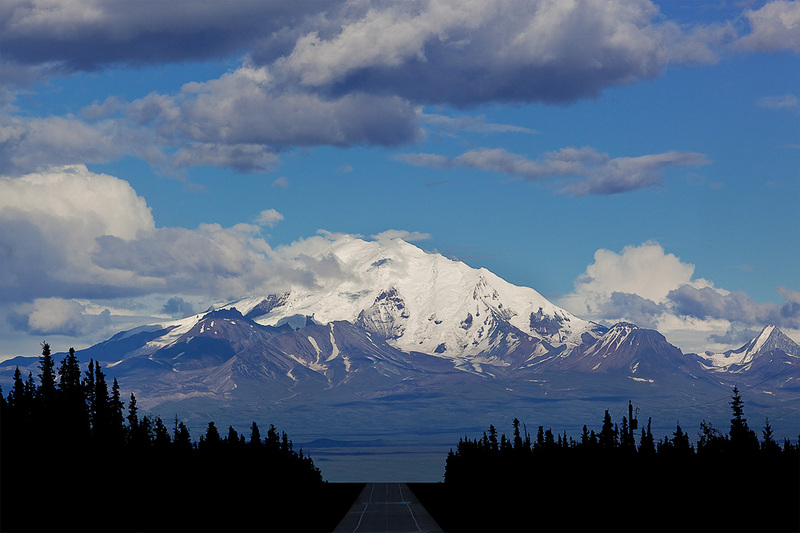 While driving the Glenn Highway from Glennallen to Anchorage I noted in my rear view mirror that Mt. Drum, its summit centered directly above the highway, was breaking through the cloud cover with its west face bathed in afternoon light. There was no traffic on the highway and the town was obscured by the crest of the roadway. I immediately stopped, set up my tripod behind my truck and made this image before the summit became enveloped again and any traffic appeared on the highway.